Let’s talk about the bombastic growth of the online marketplace again: Marketers from all over the globe are heavily challenged to shift from being invisible within a million into the very one consumers choose to buy from. A clear situation of drastic oversupply, which forces marketers to level up their offers and undertake way more efforts to be seen (and picked). Yep, some free offer is not enough in today’s world. It has to be excellent to stand out. Yaro Starak has written a very worth reading post about the quality changes people make to their free offers. 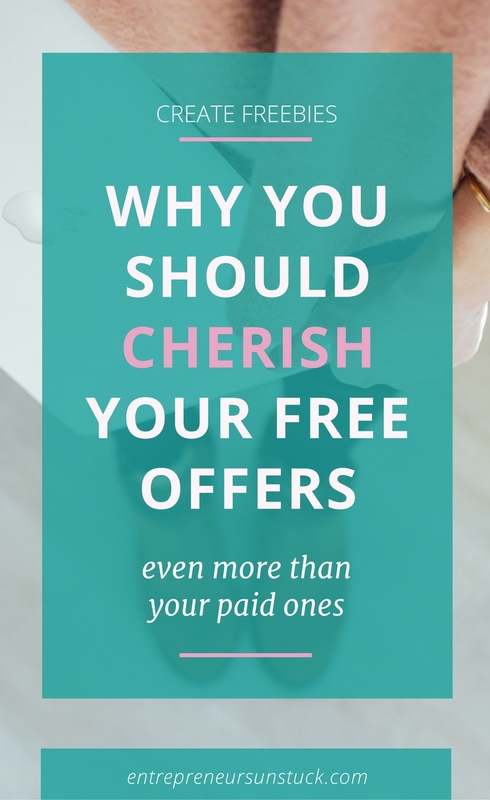 But, if free offers are such an oversaturated field already, why do marketers still invest time and money to create epic pieces of them? 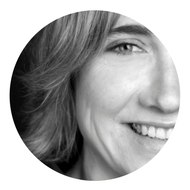 Because free resources do a paramount job: They help to build trust. If you give your potential customers something highly valuable before they buy, you earn lots of credits in trustworthiness. And, in times where a superabundance of shiny offers is standard, your reputability is what people double-check the most. Trust is the foundation of any sale you ever make. Free resources, which are honest offers of help with no strings attached, build that trust. What’s the intention behind your freebies? Now the give-and-take part of free resources comes into play: You offer your visitor incredibly helpful information for free, to get that visitors email address in return. Your attention-grabbing free course/worksheet/checklist is just the initial trust-experience to get your potential client on your email list. The real trust building process happens in your email funnel. With a sequence of emails that’s packed with helpful, inspiring, entertaining information. And with each email causing a compound effect in trust-confirmation on your potential client’s end. Trust comes from regularly exposing your audience to your helpful content. Your funnel is to deliver that reminding exposure. The more helpful stuff your subscribers are routed to, the stronger the relationship they build with you. To summarize, free resources do two big things for you: They cement a first “helped me a lot” experience in the head of your readers (T-R-U-S-T). And, as an optin incentive, they put people on a tour through your hand-picked content to initiate more trust, interaction, sales, repeat sales. 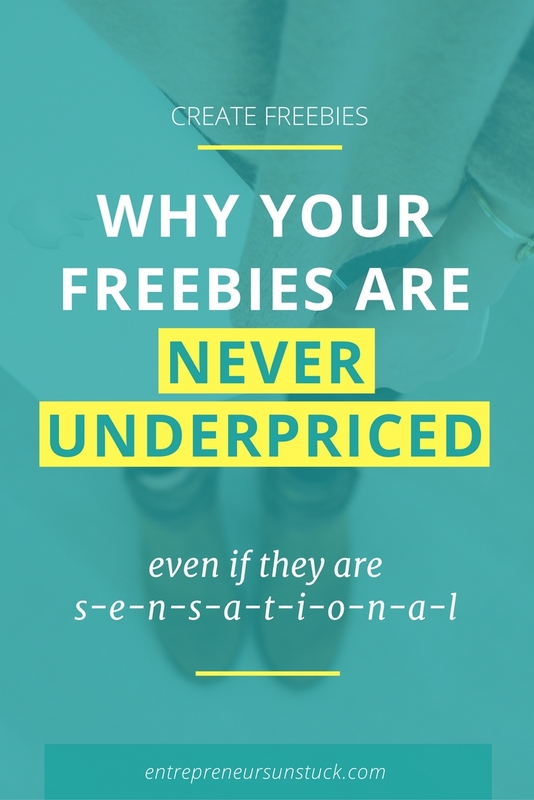 What’s crucial to make freebies work? To provide a mind-blowing free resource, you really need to know your audience. What are the challenges people face and how can you help them out? If your free product can solve one of the biggest pain points your audience has, you are very likely to catch their attention. Starters often back away from creating a free product. They want to wait until they are expert enough. Some wait forever… don’t let that be you. Here is some help on how to become an expert fast. Simply put, you have to OVER-DELIVER! Your free offer can have many different formats like an email course, a worksheet, a checklist, a report, a cheat sheet, a fully fledged case study, etc. 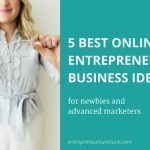 If you want to learn more about different types of freebies and which ones work great, check out Stef Gonzaga’s post on SmartBlogger about 9 examples of very effective free resources to grow your email list. Whatever type of freebie you choose to create, make sure it integrates with the framework of your paid products. Show people the next level of in-depth information in relevant spots. What of your ideas to give away for free? This question triggers lots of controversial discussions. What of your knowledge and experience to give out for free? Is it smart to share some of your best ideas within a freebie? What if your competitors “steal” your golden nuggets? Many concerns. Most of them baseless. The primary job of a free resource is to demonstrate what an irresistible, great source of help you are. That greatness of your help is coming from your unique angle. It’s based on your one-and-only big idea that offers great relief for the people you address. You need to show some of that big idea to make your demonstration of help authentic and trustworthy. It’s not going all-in with all of your game-changing assets. But, at least one single aspect of your big idea needs to be demonstrated. And don’t worry about your competitors. Those who just copy what you do won’t stay long. Trust me, thinking and acting in rivalry is no good approach to online business. It’s way better to find ways that let you complement each other. If you are generous with referring to excellent resources of other marketers, you find many of them sharing your content too. In case of doubt, always share a bit more for free than you would have done in a regular brick and mortar business. It’s really worth it! Want more reasons for becoming generous with giveaways? Read this post by Chris Garrett about what content to sell and what to offer for free at Copyblogger. Content business, aka blogging, is all made of HELPING. If your primary motivation is people’s money, you will be having a hard time. If your top motivation is to help people, the money is sure to follow. Help earns trust earns money. Hence, the level of money you make only depends on the level of help you offer. Free resources are a great “tool” to train your helping mode. You need that strong helper approach as the constant driving force behind all of your actions. Once in that “love to help” fashion, your content creation will flow with ease and consistency. And there is a cool phenomenon attached to helping: it triggers reciprocity. People want to give back for the help they found in you. And they do give back. Not only by buying your products. They share your content, review your products and love to recommend you whenever the occasion fits. Yes, there will be some people who jump on your list to grab a freebie to unsubscribe then. But that shouldn’t bother you. Actually, it’s good they unsubscribe. You don’t want to have people on your list that don’t engage with what you offer. Just let them go and wish them best of luck (they need it for their unengaged endeavors). Your freebie is all set up to solve a pressing problem of your subscribers. That’s what makes most of your subscribers stay on your list. The leaving freebie chasers will only be a few. Your best suiting audience are people who don’t expect everything for free on your site. 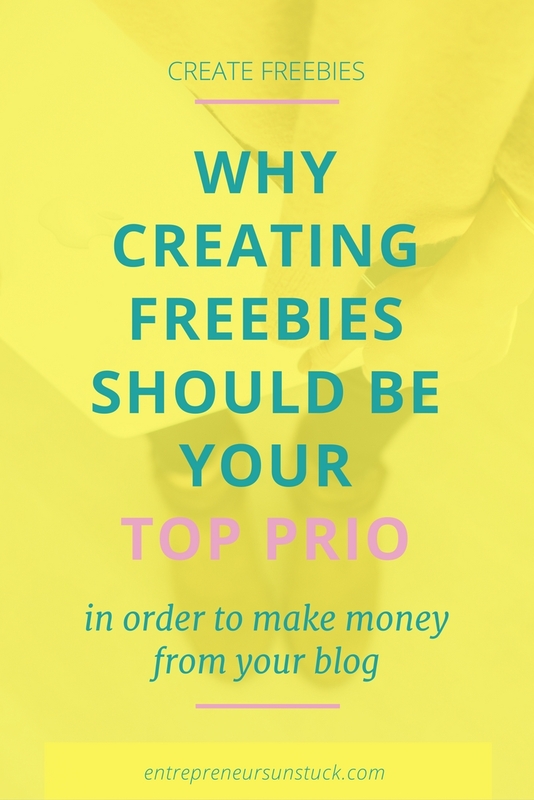 You want visitors that ask for more than your free content. Your best match visitors are people who know that the comprehensive, all-in-one, surefire-mastery solutions are never for free. That’s why making your paid products visible from very early on is crucial. People need to be aware that all the great things you provide are not (only) charity but part of your business. 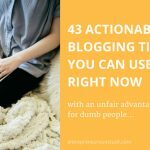 With an awesome freebie and a good follow up series of emails, you can turn lots of subscribers into long-term engaged followers. Hence, freebies can do a great job in building your tribe. That’s why they deserve to be awesome! What about you? 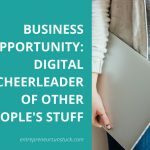 Do you use freebies for your business? What are your experiences with offering free resources? Please share your thoughts in the comments below!